Off the Rails is a strategic, competitive, tile placement, roller-coaster of a board game for 1-4 players recommended for ages 12+. 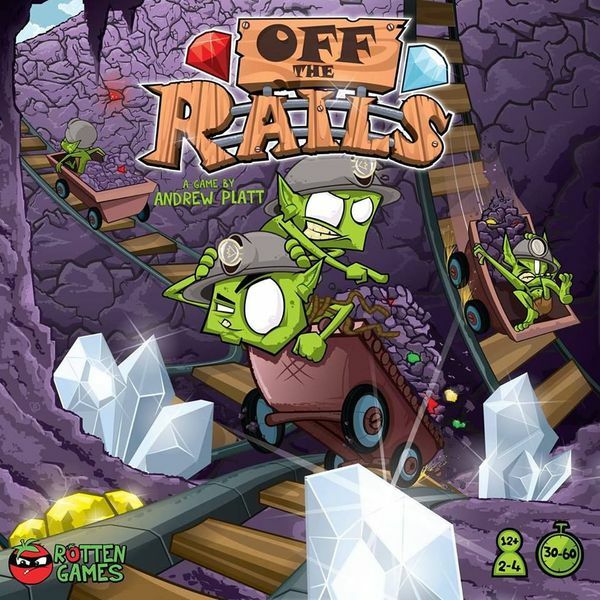 Players control a team of gem-hungry goblins racing uncontrollable mine carts underground to retrieve the most jewels before the earth collapses into the deadly chasm below! Easy to pick up and play but with a compelling strategic puzzle for more hardened gamers to master, Off the Rails combines thoughtful tile placement and planning with cut-throat racing and out of control anticipation! Culminating in the total destruction of the board, can you leave your opponents eating your gold-dust and escape the chasm with the most expensive gems?